I have an essay in Letters to Me: Conversations with a Younger Self. The other contributors include Brian McLaren, Kristin Ritzau, Tamara Lunardo, Lore Ferguson, Shawn Smucker, and Penny Nash–a total of 20 writers. Late one evening when you were twenty-one, as you were praying about your future, you began writing poetry. Eight poems in an evening in an ecstatic rush. So you believed that writing was your calling, your vocation, and you were not wrong. The next week, you entered a creative writing competition for students—and won. And so you settled on that most romantic of dreams. You decided to become a writer. And you will now look up publishers, daydream about your first published book. Ignoring the little fact that you don’t yet have a subject you are in love with. That you haven’t yet written the book! The dream of early success comes true for some. Scott Fitzgerald published his best-selling book, This Side of Paradise, when he was twenty-four. But for those with a human, rather than a genius-sized gift, it takes years to master an art. Ars Longa, Vita Brevis, Horace observed, which Chaucer plaintively rendered as “Life is so short, and the craft takes so long to learn” In Outliers, Malcolm Gladwell estimates that it takes 10,000 hours of deliberate practice—ten years of twenty hour weeks—to master an art. 10,000 hours! And it takes that long in the school of living to learn the lyrics and melody of the unique song you have to sing to the world. So learn to love the act of writing as much as the pleasure of accomplishing your writing dreams. There are ultimately just two ways to become a writer—saturation reading, and lots of writing. Other things help—good teachers, constructive criticism, a literary community, connections, encouragement, leisure to write–but these are secondary. So read, read, read. Saturation reading is the swiftest way to improve as a writer, but follow your bliss, as well as reading “the best that has been thought and said.” The most tasty fish and fowl are free-range. It’s the same with writers. What we read shapes who we become. And what we write. And if reading proves difficult in a world of too-much distraction, be a judoka. Use the strength of your opponent to achieve your own purposes. Listen to books on tape, and you’ll subliminally pick up rhythm, pacing, style, and you’ll find that your writing will flow more easily. Develop a good schedule—prayer, scripture, exercise, reading, writing, gardening—instead of a long chain of procrastination before you begin writing. Wake earlier to increase your chance of getting work done. Teachers are a great shortcut, so that each writer need not re-invent the wheel. They point out ugliness, absurdity, sentimentality, and awkwardness before your ear has evolved enough to spot them yourself. They might show you your blind spots. They teach clever rhetorical tricks, and suggest writers to read who are like beacons further along the winding way, whose words take an axe to the frozen spring within you. If you have an unkind teacher, however, they waste time by destroying your self-confidence, and making you self-conscious, so that you look at your fingers rather than listen to the music, and half-believe you know nothing at all. Not everyone who has failed wishes you to succeed. The successful are not necessarily cheerleaders. There is a fine line between a mentor and a tormentor. So take the criticism of teachers with a grain of salt, always listening to your inner voice, your inner wisdom, which intuitively knows the book you both want to write and can write. Advice is a double-edged sword. Accept no advice without praying through it. For the most important, the vital voice you need to learn to hear is your heavenly Father’s. Keep experimenting to find your unique voice, subject matter and form, something which you absolutely love. Finding this will slow down publication and success, but it will be deeper, last longer, and be more satisfying because of that. Listen to your intuition, and write the book you want to write, even if it means self-publishing when your vision diverges from an editor’s. Naturally, like all young writers, you will long for validation. Orwell rightly observes, This is one of the reasons writers write—Sheer egoism. Desire to seem clever, to be talked about, to be remembered after death, to get your own back on the grown-ups who snubbed you in childhood, etc. And the world will be full of the tempting Turkish Delight of distractions. Magazines will have essay prizes; state and national arts boards will have fellowships; writers’ conferences will have scholarships for promising young writers; writers’ colonies will offer you an Arcadian idyll with lunch brought to your door, and organic suppers eaten with other artists and writers. Writing is a pyramid scheme, and so those further along the way will host classes and workshops and seminars, which will lure you with helpful criticism and praise so sweet that you will forget your tuition has partly bought it. Time spent achieving this external validation, “playing writer,” is not entirely wasted. Your writing will sharpen; you’ll meet other writers and learn from them; you’ll be offered some useful (and some useless) criticism; and your self-confidence, that invaluable tool for a writer, will grow. But amid this Vanity Fair of Distractions, remember the 10,000 hour rule. Keep reading. Keep writing. Don’t let the quest for validation distract you from the quest for mastery. For as you apply for fellowships, prizes, and grants, a few showcase chapters can get perfected, while the rest of the manuscript languishes. Oh, privilege the first draft. Keep it moving. As a young person seeking an unusual path, you will be tempted to seek “justification by writing”—glory and impressive achievement to slip into conversation to explain what you spend your time doing. But remember that if you seek validation through the addictive drug of success, you will need more and more of it, for yesterday’s glories soon become yesterday’s news. How much better to just relax and be yourself, and be liked and accepted for who you are, not what you do. To enjoy people without needing to impress them. Remember that success will not have the haemoglobin or oxygen your heart needs. For that, you will need to soak in the love of the Father, and have his love strengthen and heal you. And validate you. While you log your 10,000 hours towards mastery, share your ideas and experiences. And the evolving world might offer a venue to do this which will be known by a strange word: Blogging. Blogging, writing to be read quickly and easily will teach you things that writing in hermetical isolation will not. You’ll develop a writing style which is easy to read. You’ll learn what speaks to people. You’ll be challenged and rebutted and so grow as a thinker, Christian, and writer. The discipline of daily blogging will teach you to write swiftly and to slay the dragon of perfectionism. And blogging will bring the affirmation which counts–people who actually read your work, and return to read it, again and again. And other precious jewels—daily practice in putting your thoughts into words, stimulation, creative breakthrough, increasing confidence, connections and friendships. You need solitude, quietness and focus to think and write. But excessive work can lead to burn-out, staleness, loneliness and lowered motivation. As an extrovert, and human being, you also need friendship and social support. Besides, friendship introduces you to the real stories being written in people’s lives, and informs and inspires your writing. Keep a balance between times spent in solitude and time with friends. You will hear that connections are the third wing of the writer’s life: reading, writing and connections. And yes, writing friends can suggest books to read, give you honest feedback, provide inspiration and open doors. Sometimes, connections lead to the fairy tale of the literary life–discovery by fairy godmothers: an editor and an agent. The fairy-tale wedding of publication. Happily ever after. Instead, write the book you really want to write, which is called forth by all the circumstances of your life and experience. Do not waste time hustling. Trust God to find a way for your words to reach the world. For good writing is magnetic. It leaps off the page, makes its own connections, its own magic. First, write the rabbit for the magicians to flourish. Christianity, your faith, is a fairy tale filled with reversals, redemption, and happiness ever after. And you will see a fairy tale unfold in your writing life, because a good God who loves you and called you to write is drafting the script, not you. And that fairy tale will include the archetypal element of surprise. God made you a writer, and when you write you feel his pleasure. So don’t surrender your writing, should the time of babies and domesticity come. Put first things first, but don’t altogether sacrifice second things, your writing. Keep it as a little private secret Kingdom you can retreat to. Which means you will live with tension. You will not mother perfectly; the house will not be perfectly organised; the writing not perfect, either. You will make peace with good-enough. And the tensions of these years will drive you to your Saviour. But eventually, children grow up. Domestic discipline is learned. And once you are at peace with God and man, words will flow easily, like honey. And tidiness and domestic order will subliminally help your creativity. Do not feel guilty about writing when the church wants you to take meals to the sick members, pour coffee at women’s breakfasts, or work in the crèche. Writing is a calling no less valid. Learn to lean on your heavenly Father, and let His creative power flow through you. Entrust your writing to God. The great laws of the spiritual life operate in writing too: Do not be afraid. Trust in the Father. Hang in there as a branch in the vine. Creativity is a gift from God which he willingly pours on all who ask for it. Keep asking for more and more of it. Your life is a story being written by God. He intended you to write long before you even thought of it, and wants you to write as much as you want to. He has lovely things in mind for you to write, which you have not yet dreamed of. He knows the lives you will touch through your writing, people you do not yet know. He has the perfect blueprint for the writing life you so desperately longed for. And He says, “Come, my writer. Sharpen your senses to discern my plot. Think not of former things. See, I am doing a new thing; do you not perceive it? 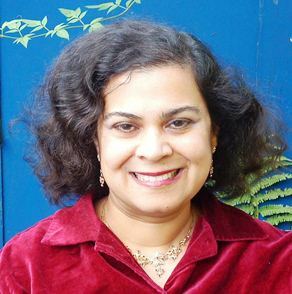 Anita Mathias has written Wandering Between Two Worlds (Benediction Classics, 2007), and blogs at Dreaming Beneath the Spires, http://dreamingbeneaththespires.blogspot.co.uk/. Anita lives in Oxford, England with her husband, Roy, and daughters, Zoe and Irene. Follow her on Twitter at AnitaMathias1. Thank you very much for this, I really enjoyed it. Very encouraging, although I don’t see myself as a writer, but I would like to be one! This is powerful and encouraging. Love how you share that God orchestrates us to be writers as He is the one who wrote our story. I have loved to write ever since I was a little girl but am just now attempting it as a profession. It is hard, most times not receiving encouragement but knowing He is pleased and called me to this helps a lot. I pray that God will continue to bless you and that you would be successful in all your endeavors. What wonderful words of insight and wisdom, not only to your younger self but to any writer who may be struggling to make their mark or losing faith in the creative process. There is so much here to devour and learn from and it’s so lyrically expressed too. I particularly love these words: “It takes that long in the school of living to learn the lyrics and melody of the unique song you have to sing to the world” – just beautiful. You have many great practical suggestions to offer any writer from the novice to the more experienced. It is heartening to see how blogging is fast becoming a tool to perfect one’s craft as well as a medium for expressing the writer’s voice. The reminder that God is the One who gifts us with creativity and is the person we should be listening to the most is great advice in expressing our own unique voice to the world because: “Your life is a story being written by God”. Oh thank you, Joy. What a wonderful and encouraging reader you are! I still love this, Anita. Second time reading it and I love it. Thank you for sharing such wise and encouraging words. Blessings to you! Wow, thank you for remembering. I published the first (rejected) version on my blog in August. Am impressed your remembered, Angela! !